The Somerset County Department of Emergency Services has the mission of coordinating the resources necessary to respond to an emergency. On a daily basis this occurs through the 9-1-1 Emergency Communications Center. For large scale events the Emergency Operations Center coordinates emergency management services. In order to protect lives and property within Somerset County, it is the responsibility of this office to prepare the County and the public to manage activities before, during, and after the impact of natural and technological disasters. Somerset County is bordered on the west by the Chesapeake Bay. Therefore, hurricane preparedness is a key component of Somerset's Emergency Management program. Annually, this office hosts a hurricane exercise that involves all of our local and state partners. Emergency Management attends the National Hurricane Conference in the spring of each year and also has also attended training at the National Hurricane Center in Miami, Florida. This brings those staff members up to date on the latest developments in evacuation procedures and the local government’s role in recovery and more. 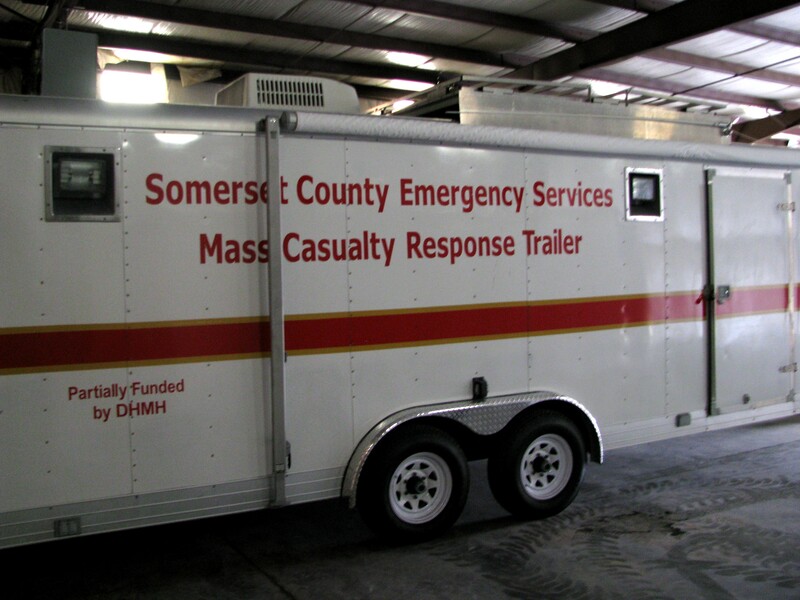 Somerset County is a member of several organizations related to Emergency Management. Among these are the Maryland Emergency Management Association, Delmarva Emergency Task Force, the Eastern Shore Alliance of Public Safety Answering Points, and the Maryland Emergency Management Agency. Somerset County has a Emergency Management Director, an Assistant Director and an Emergency Planner. This agency provides administrative support to the Somerset County Fireman's Association and the Local Emergency Planning Committee. The EOC is located at 11916 Somerset Avenue, Room 120, Princess Anne, Maryland, 21853. The back-up EOC is located on 8928 Sign Post Rd, Westover, MD 21871. When the Emergency Operations Center is fully activated the EOC staff includes the Director of 911/Emergency Managment, County Commissioners President, County Administrator, and representatives from the Board of Education, Health Department, Social Services, Law Enforcement, Public Works, County Roads, State Highway Administration, Red Cross, RACES, the United States Coast Guard, National Guard, Fire and EMS providers and many others. This office is responsible for coordinating disaster planning for all entities within the county. This includes maintaining the Emergency Operations Plan and related Emergency Support Functions which must be reviewed and updated annually. The Emergency Operations Plan must comply with standards set fourth by the Maryland Emergency Management Agency and FEMA. Somerset County has a population of approximately 26,500. It is the responsibility of this office to notify the citizens of impending danger for all types of hazards including hurricane, winter storms, hazardous materials incidents etc. This is done through local TV and radio stations, the Emergency Alert System, Emergency Notification System and the local newspapers. The Department of Emergency Services has 3 Emergency Communications vehicles. Each is equipped with multiple radio's operating on 800 MHz, VHF and UHF frequencies. 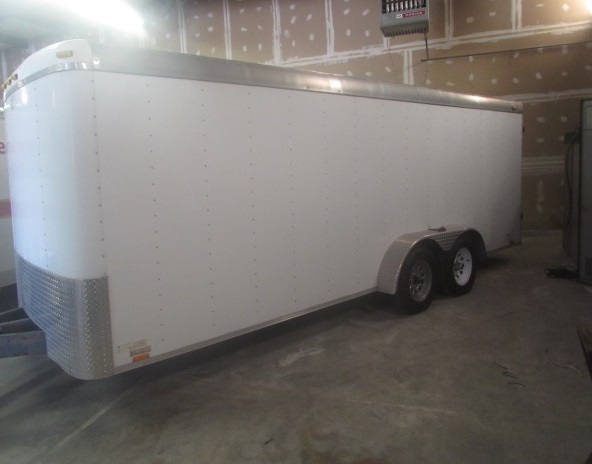 This 18-foot box trailer is stocked with cots and blankets and ready for immediate deployment. Trailer is pulled to the shelters that may be designated for opening, materials dropped and then the trailer moved on to the next shelter. This 24-foot box trailer is equipped with medical supplies for treating up to 50 people at a mass casualty scene. In addition to basic bandages the unit is equipped with cervical collars, backboards and splints for immobilization of patients. This unit is regularly deployed around the county near events drawing large crowds of people over multiple days. In the event of an incident where the number of patients would rapidly deplete the supplies carried on a normal ambulance supplies could be pulled from this unit. This 22-foot unit is equipped with multiple 800 MHz radios on the Somerset County radio system, medical first aid equipment, rescue boats and equipment for swift water and cold water rescues. 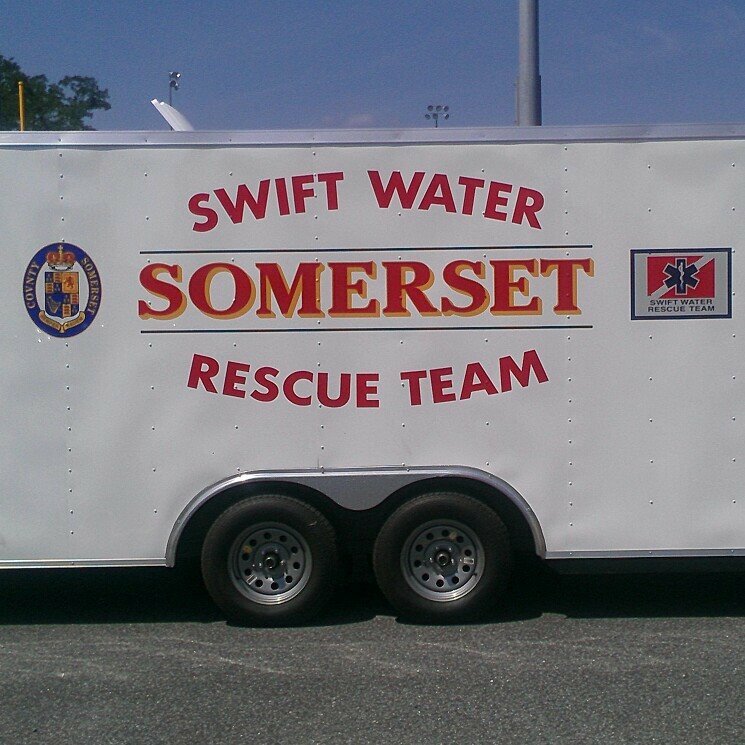 The Swift Water Rescue team is deployable resource throughout the state.